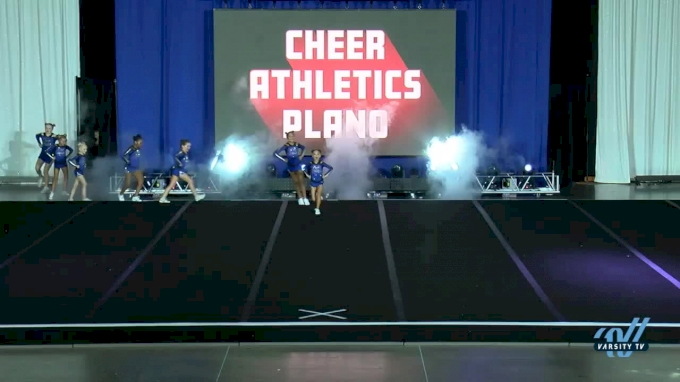 The reigning Summit Champions, Cheer Athletics KittyKatz, stole the show once again as they took the mat for their first competition of the season at the 2018 NCA North Texas Classic. The Medium Youth Level 1 team had their claws out as the took the stage here in Arlington, Texas to being their journey to defending their title. WATCH: KittyKatz 2018 Summit Winning Routine here. KittyKatz creative opening formation featured multiple handstands that showed off the team's flexibility and athleticism. Once the music began the team moved into their tumbling section that was filled with synchronized headstands and back walkovers. The energy in the College Park Center continued to rise as the Level 1 team moved into the stunt and pyramid sections. Their building sections continued to showcase the young team's flexibility as top girls pulled elite body positions from needles to picture-perfect scales. Cheer Athletics fans were on their feet as the KittyKatz rounded out their solid routine with a sassy dance fit for a champion. Will the Cheer Athletics KittyKatz add another win to their trophy case today? Tune in to the first D1 awards ceremony of the day LIVE on Varsity TV starting at approximately 3:55 PM CT.
Watch KittyKatz Full NCA North Texas Routine Now!